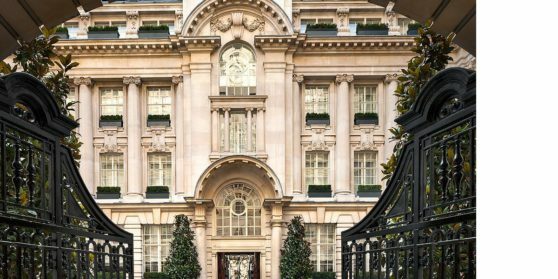 Rosewood London, has recently opened after a sensitive transformation of a 1914 Edwardian, Grade II-listed building on High Holborn. Moments from Covent Garden, London’s newest ultra-luxury hotel is a stone’s throw from Lamb’s Conduit Street, the Royal Opera House, the British Museum and West End Theatres. The hotel has the feel of a stylish London residence and houses 262 guestrooms and 44 suites. All accommodation has been designed by Tony Chi and Associates, who also created the interiors of the public areas including the 11 event spaces and the Mirror Room, a strikingly elegant salon with floor to ceiling mirrors offering social all-day dining and afternoon tea. Scarfes Bar serves delicious Indian curries and European-style casseroles alongside live jazz and an extensive selection of cocktails whilst British classics with a twist can be enjoyed in Holborn Dining Room and Delicatessen, complete with outdoor terrace. Rosewood London also features a fitness suite and Sense spa®.